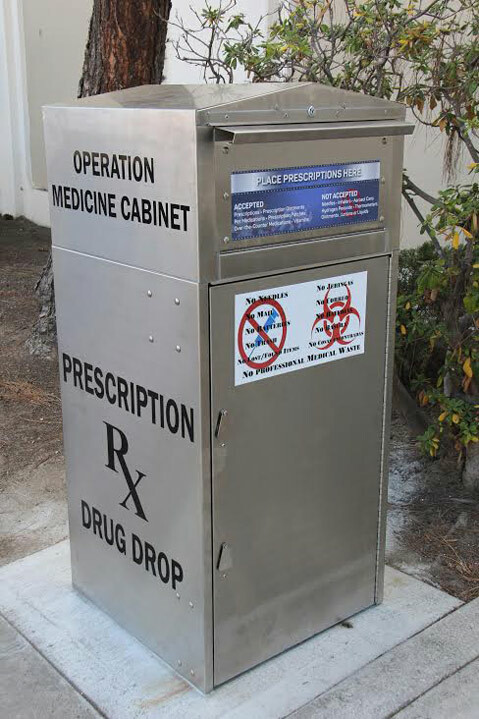 One of Santa Barbara County's eight newly renovated prescription medicine drop-boxes. Following a month-and-a-half-long hiatus, eight newly renovated prescription drug drop-boxes have opened across Santa Barbara County, according to a Monday Sheriff’s Office press release. Accepting unwanted and expired prescription and over-the-counter drugs, illegal drugs, medicated ointments, and pet medicine, the 24-hour disposal kiosks are part of Operation Medicine Cabinet. The county and Sheriff’s Office program aims to reduce the environmental impact of tossing medicine in the trash or toilet and the health risks of abusing or unintentionally consuming old medications. The new kiosks are more user-friendly and make it safer for Sheriff’s personnel to remove the drugs, which are transported to a secure facility and “incinerated,” according to a Sheriff’s Office instructional video.